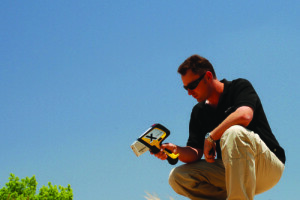 DELTA Handheld XRF analyzers have completely revolutionized environmental testing. 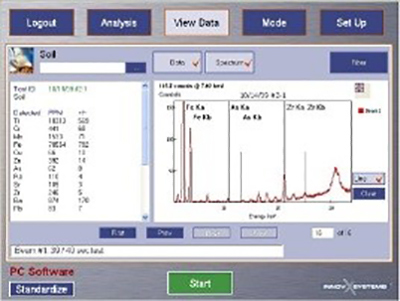 In the past, assessments relied exclusively on expensive and time consuming lab analyses which were based on samples collected at and shipped from the site. 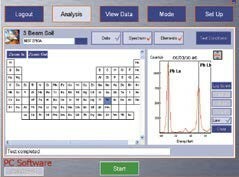 Now you can immediately check the composition of solids, liquids, powders, cores, fragments, filters & films, slurries . . . while you’re at the site. 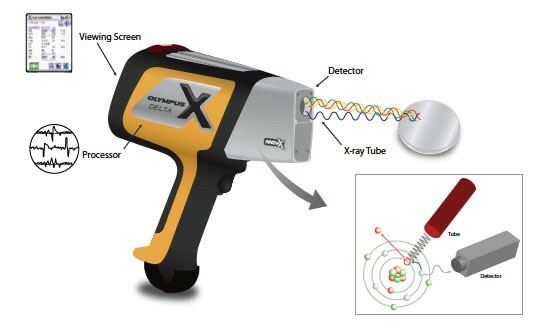 DELTA handheld XRF analyzers provide cost-effective, timely analysis to help evaluate data in real time for rapid and comprehensive investigations to determine the next course of action. This means you can take action at the site and won’t lose precious time or resources collecting non-representative samples and running up unnecessary lab costs. 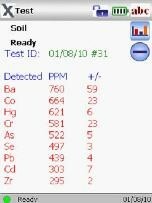 The DELTA is ideal for measuring priority pollutants Ag, As, Cd, Cr, Cu, Hg, Ni, Pb, Se, Tl, Zn, and RCRA Metals Ag, As, Ba, Cd, Cr, Hg, Pb, and Se. 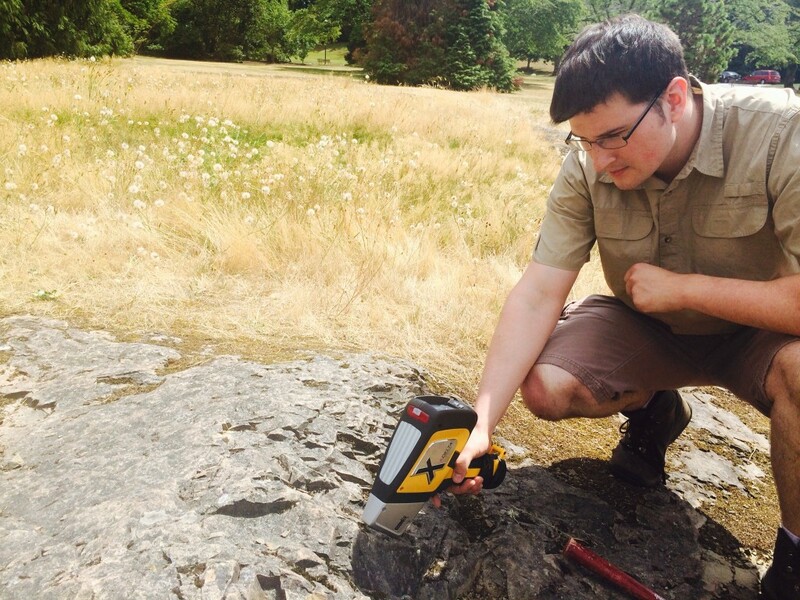 The big picture is seen with GPS-XRF metal-concentration contour mapping. 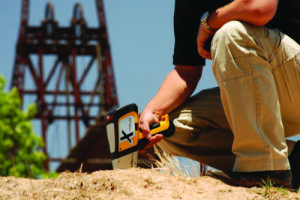 The unique DELTA Xplorer Option wirelessly integrates GPS coordinates with the DELTA XRF results. 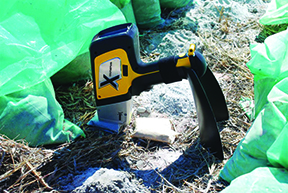 Coupled with a measurement control Field Soil stick, the DELTA XRF is a very cost-effective tool available for large sites, and enables large, inexpensive data sets to be generated very quickly. 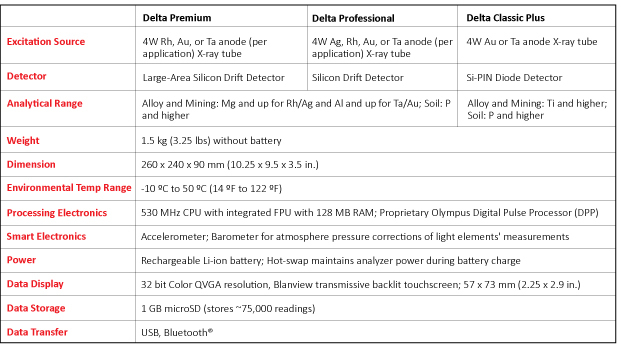 The full power of the DELTA series is unleashed with the DELTA 50 kV unit for the ultimate in speed, sensitivity and low limits of detection for challenging elements such as Ag, Cd, Sn, Ba, and Sb. 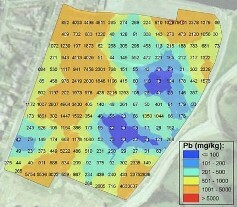 A GPS-XRF Concentration Contour Map delineating Pb contamination patterns in a 20 m x 20 m sports park. 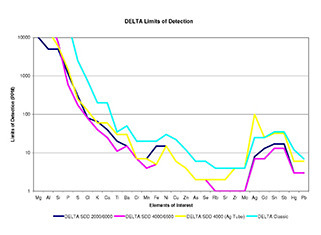 The DELTA can be used to follow the “Rule of 20″ for cost savings in relation to the TCLP HAZMAT Classification Process. If results are significantly less than the TCLP regulatory limit, or are less than 20 times the TCLP regulatory limit, time-consuming and costly TCLP/Lab testing can be avoided. 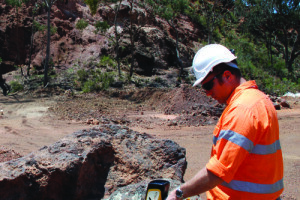 This draft describes XRF as a quick method for on-site screening of heavy metals and for the determination of total elemental compositions of soil samples. It is similar to EPA Method 6200, but it does not specify elements, it encourages the objectives of the project to dictate the elements. 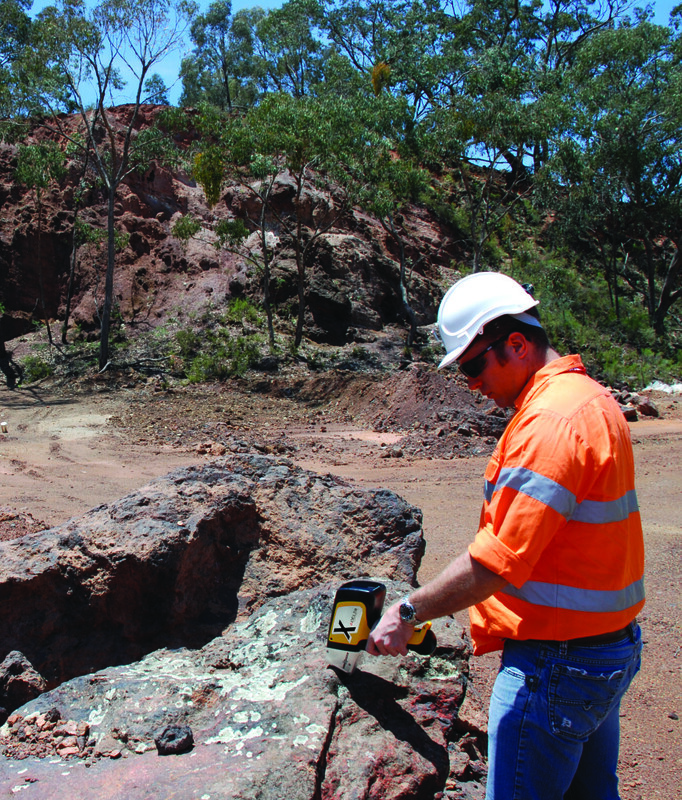 It calls for reasonable sample preparation and quality control for portable and handheld X-ray fluorescence measurements of heavy metals in soil. 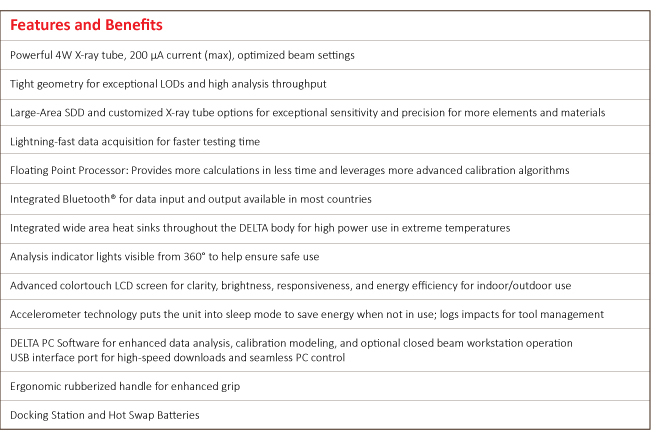 Limits of Detection were taken for more than 30 seconds with optimized beam conditions. Standards used were in clean, homogenous, best case interference free matrices. 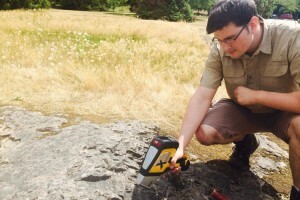 Olympus Innov-X analyzer measuring for field archaeology.The field of geo-science includes discovery, safe use, and sustainablity of valuable land resources. This includes the safety of food sources with the growing demand for peri-urban farming and precision agriculture. 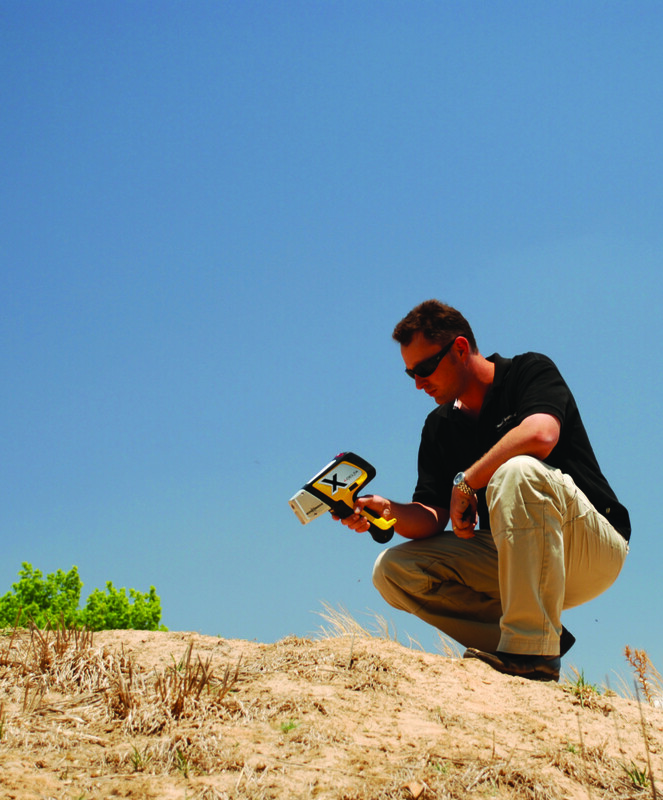 The DELTA handheld XRF allows for rapid determination of toxic metals introduced to the soil and water as herbicides or pesticides, such as As and Pb, as well as correct placement of nutrients and fertilizers, such as Ca, Mg, P & K. It also includes the use of handheld XRF by geologists to determine the history of soil layers indicating events that have occurred throughout geological time. 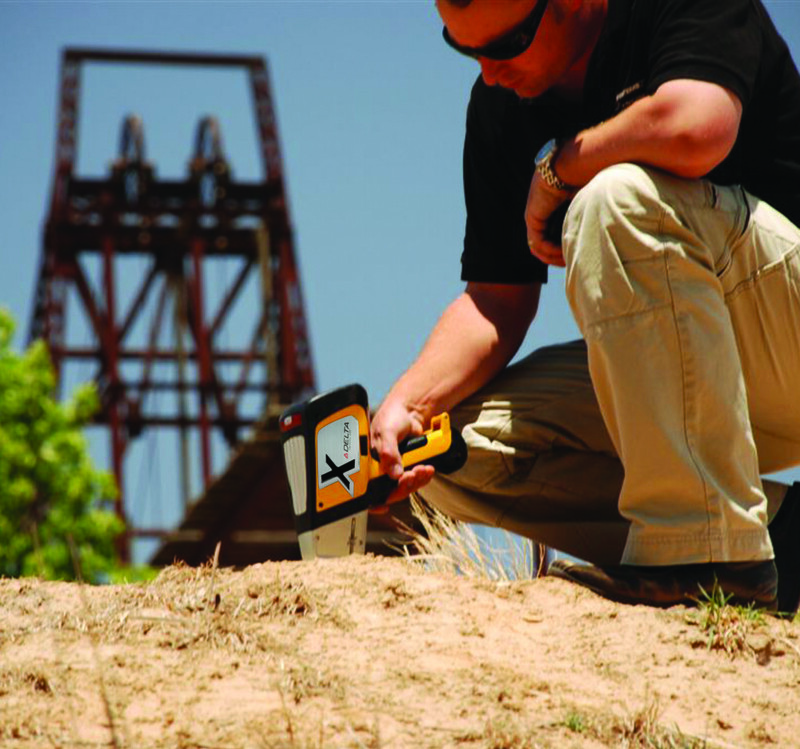 The DELTA XPLORER is ideal for this research as it allows for high intensity soil analysis in the field with results obtained and spatially modeled on-site. 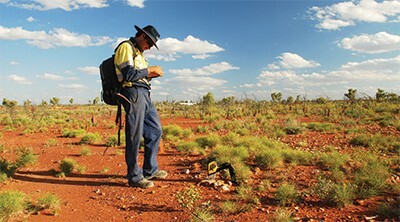 For more information on The Delta Environmental Analyzer please visit our Knowledge Center.